This two-part series examines the lessons learned during five years of recovery efforts since the March 11, 2011 disasters in Japan, and looks ahead to how those lessons impact our thinking about development for 2020. Part 1 is January 13-14. Part 2 is April 13-14. MAK Center/Schindler House – West Hollywood, CA. Hitoshi Abe will share his insights and his work related to the recovery and rebuilding efforts of post 3.11 in this lecture. Abe is professor and chair of the UCLA Department of Architecture & Urban Design and the Paul I. and Hisako Terasaki Chair in the Study of Contemporary Japan. Since 1992, when Dr. Hitoshi Abe won first prize in the Miyagi Stadium competition, he has maintained an active international design practice based in Sendai, Japan, and Los Angeles as well as a schedule of lecturing and publishing, which place him among the leaders in his field. 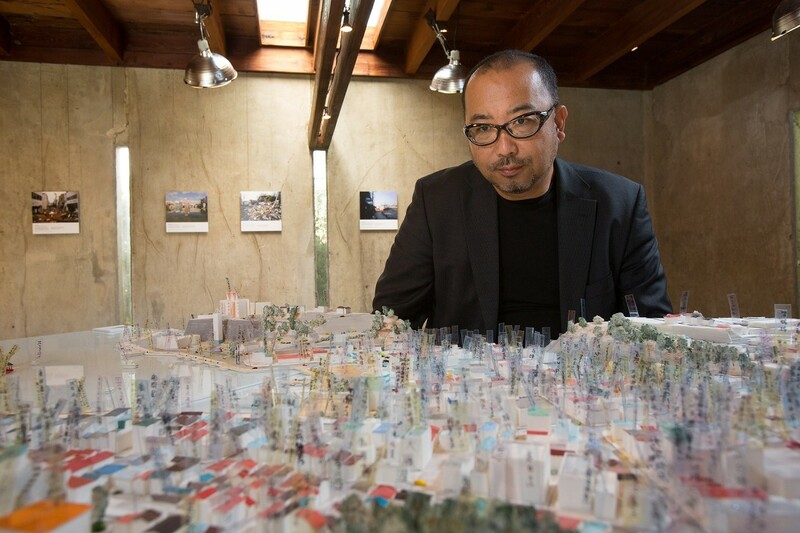 Known for architecture that is spatially complex and structurally innovative, the work of Atelier Hitoshi Abe has been published internationally and received numerous awards in Japan and internationally. He received his Ph.D. from Tohoku University, M.Arch from Sci-Arc, and M.Eng and B.S. Engineering from Tohoku University.